Smoke from the seven-alarm fire in the Garden District on Wednesday damaged air quality throughout the city, the city’s emergency preparedness office reports. Anyone who is elderly or has respiratory disease, such as asthma, is advised to stay inside, keep their doors and windows closed, set their air-conditioning systems to re-circulate the air inside the building and avoid using exhaust fans if possible. Anyone who is having difficulty breathing should seek medical attention. The heavy smoke may impact the air in the Central Business District, French Quarter, Treme, Mid-City, Fairgrounds, 7th Ward, St. Roch and Gentilly neighborhoods, as well as Uptown. 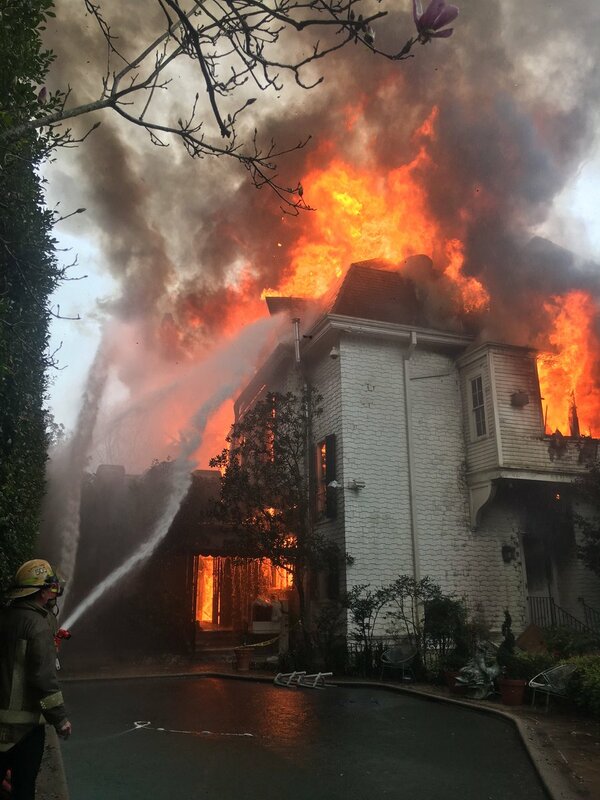 The New Orleans Police Department is warning drivers to avoid the area around the fire at 2525 St. Charles Ave. between Second and Third streets in the Garden District. Streets are blocked off as firefighters continue to battle the blaze and try to prevent the collapse of the historic mansion. The St. Charles streetcar line is not running between Jackson and Louisiana avenues, the Regional Transit Authority reports. A shuttle bus is being provided.